This is a question I get asked almost daily in my Raleigh NC chiropractic office. When patients see children in the waiting room of our practice, Gray Family Chiropractic, they often ask “Are they getting an adjustment too? What for? Today’s parents are seeking out chiropractic care for natural solutions to common childhood problems like poor latching on and breastfeeding issues, colic, reflux, ear infections, constipation, toeing in and out when walking, asthma, bedwetting, growing pains and leg cramps, sports injuries, scoliosis, headaches, and many many more. It isn’t that chiropractic is treating these complaints, it is that most of these problems may have a simple solution and an adjustment to a specific part of the spine or cranial bones most likely will help these complaints. For example ear infections can often be caused by a misalignment of the atlas vertebra and when this bone becomes misaligned it moves out of place sideways. Since the tip of the atlas is right near where the ear canal is located, when there is a subluxation here, the ear canal sometimes doesn’t drain properly and then you get a buildup of fluid that may get infected if it lies there stagnant. The adjustment to the atlas vertebra allows the ear canal to drain properly and then function is restored to this area. How do Children or Infants get Misaligned or Subluxated? Well most parents aren’t aware that the first subluxation most likely occurs during birth or in utero. Forceps, vacuum extractors, umbilical cord wrapped around the baby’s head, and even the most natural birth can cause the neck or spine to be overstretched and twisted. Simple things like changing diapers, carrying infants, learning to sit, crawl, stand, and walk, and minor traumas like a fall or bump to the head can lead to unnatural placement of spinal bones causing subluxation. As they age, postural changes can become evident indicating subluxation like a high shoulder, protruding shoulder blade, elevated pelvis or hip bone, head tilt. These are just some of the signs indicating that your child’s spine isn’t growing straight. Infants, toddlers and children grow at such an enormous pace and that includes their brain, spinal cord and nervous system! Gray Family Chiropractic specializes in family care and acknowledges that your body has the inborn potential to be healthy provided there is no nerve interference commonly seen with subluxations of the spine. 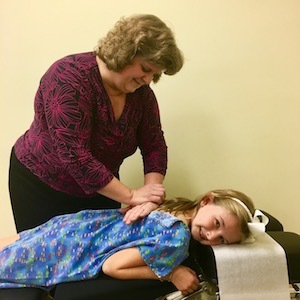 Dr. Stacy Gray is a family wellness chiropractor and has had extensive training in detecting and correcting misalignments in infants, toddlers, children, and teens. Dr. Gray became board certified in pregnancy and pediatrics in 2008 after completing 180 hours of post graduate education and has helped many families in the Raleigh area enjoy wellness care. A properly functioning nervous system allows your infant, toddler, child and eventual teenager the opportunity to live life fully. 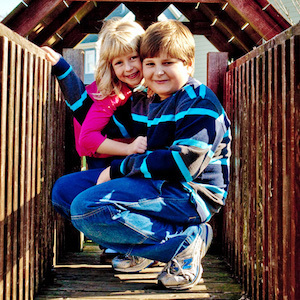 Our Raleigh chiropractic office desires to be your connection to raising healthy happy children. Many of our parents report after enjoying wellness care for their family that their children’s quality of life improves and they experience fewer colds, allergies, better posture, better sleep patterns, improved study habits, and more contentment. At Gray Family Chiropractic we strive to provide you with the most natural and healthy way to raising the next generation! We take pride in being Raleigh’s choice for family chiropractic care! Contact us today to make an appointment.